benefit from the advice. In short: Click and Tell! Here’s my piece of advice. Don’t click on links in Facebook or Twitter messages that say things like ‘What are you doing in this?’ or ‘Who took this photo of me in my bathroom?’. Another one to watch out for is ‘I can’t believe what they said about you in this blog’. Ignore them even (especially) if it comes from a friend, as they’ll probably have had their Facebook or Twitter account taken over by nasty people. You’ll find a huge amount of helpful advice about staying safe online on Get Safe Online’s website. 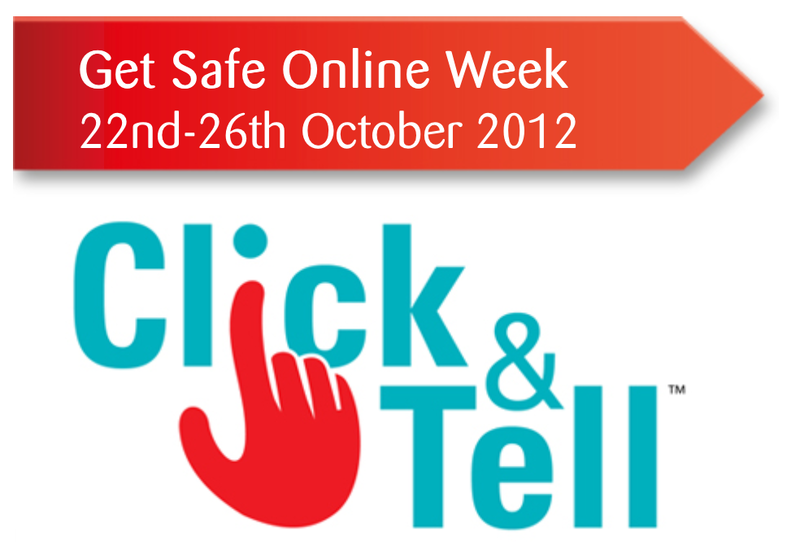 And if you’re in Cardiff, London, Leeds, Edinburgh and Belfast, watch out for Get Safe Online’s roadshow this week. This entry was posted in Tech and tagged Click & Tell, Facebook, Get Safe Online, Twitter by Rob Skinner. Bookmark the permalink.